Pack to the limit and check it, or collapse and cram it overhead, the Burton Charter Roller offers flexible storage options for plotting your own course. Its expanded volume is big enough for a month of crashing at your friends’ houses, or can shrink down for when you’re running light. 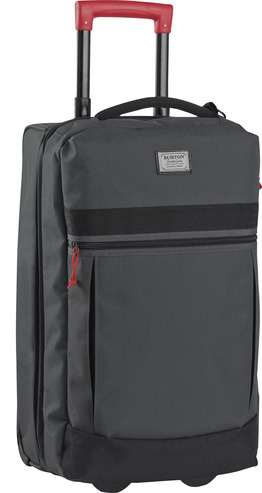 Stacked with road-ready features, it also includes internal dividers and external organizer pockets, rugged wheels to keep you rolling, and lockable TSA-grade zippers for security in dodgy locales.